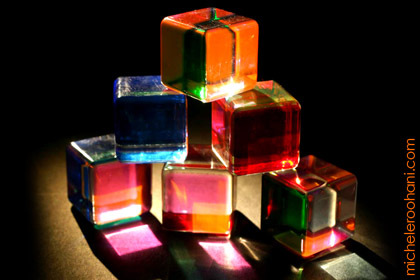 This entry was posted in art, culture, digital art, esoteric, images, museum, photography, science and tagged art, california, colorist, cubes, Mihich, plastic, sculpture, Vasa by Michele. Bookmark the permalink. a world of light, full of joy. I made a search and was absolutely speechless while looking at his work. I’ve been looking for these little cubes for years. A girlfriend of mine bought some at an art fair in Richmond Virginia. Do you know what these are called and how I could get some? they are on sale on this web site.